send us a message, or request a quote here. Dan and his team at Kickcharge exceeded my expectations. They have developed a brand to fit my local reputation. Thank you to your whole team. We will be using kickcharge for our future marketing needs, and would highly recommend anyone on the fence to make the investment. You won't be disappointed. We are a small business who was seeking out a larger image. I believe Dan and his team delivered just that. They provided an in depth look into our company and helped paint that on a canvas. We're truly happy with their services and look to use in other areas of our business. We called KickCharge in 2016 to get a wrap design. They informed me that our logo could use some help. At the time I was in love with our old logo and wasn’t ready to let it go. After talking to Dan I decided to give there new logo a try. Dan created a unique and creative logo that spoke to me and we went forward with the rebranding. It was scary at first but the calls started pouring in. We had wrapped all of trucks and with the new logo and our market liked what they seen. We had done 2 million in sales in 2016, now 2018 we finished our year over 4 million. We had doubled our business in just 2 years. Our branding by KickCharge played a big role in that. I could not be happier with what Dan and team have created for us. Can't say enough positive about our experience with KickCharge. Wonderful to work with from the get go. One of the things that i appreciated most was that Dan listened carefully to all of our input and used it when appropriate... but he was not afraid to disagree and tell us why his way was better. I respect that. I've worked with too many creatives over my career who were just glorified yes-men. I wholeheartedly recommend KickCharge. Dan and his talented team re-branded our business. A new paint division was created and our logos and copy were all revised. I'm so proud of our new look and know that we have grown by at least 30% by creating a new, fresher more on-point message. Great service and creativity that is priceless. Thank you KickCharge! 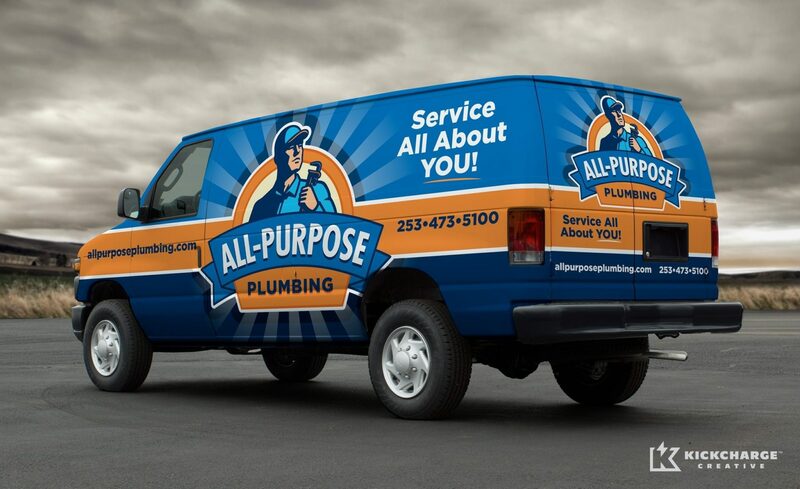 If you're thinking about hiring KickCharge for a truck or van wrap, you're going to get the best design in the world, hands down. There's just no question about that. Nobody else does what these guys do. If you want the best, look no further. Communication could be better. I had a couple questions during the design process that were glossed over, which led to irritations and some wasted time when I went to hire a local installer (I'm in Indiana, KickCharge is in New Jersey). In the end, everything turned out fine and I now have the best looking carpet cleaning van in my state. I'd compare working with KickCharge to dating a super model. She knows she's the best looking, which means she also knows she can get away with some shenanigans, and she knows you'll tolerate it because you both know it's impossible for you to do any better. So yes, there are some issues. But big picture, you're still dating a smoking hot super model. If that makes sense. In reality, this rating should be a 4.5 instead of a 4. I just can't go a full 5 because of the communication issues. Would use again. Would highly recommend. You won't be sorry. Dan and his team at Kickcharge are my secret weapon. Since 2005 we’ve been working with them to give our small business a Big Brand. When you work with them you’ll understand the value of an investment. Dan’s unusual level of talent, matched with a like minded team of creative professionals puts him in the top caliber of creative firms. Best thing I’ve ever did for my company. My experience with Kickcharge has been outstanding! This company is passionate about creating an unforgettable brand and delivering results. I own an air conditioning business in a very competitive market in Florida. There are over 500 air conditioning companies inside a 75 mile radius. We had to find a way to have a brand that stood out if wanted to achieve our goals. While I was trying to find the right agency to work with I came across their website and was blown away by the powerful brands they had built. One quote by Dan himself sealed the deal “Success in spite of a poor brand is not a valid reason to perpetuate it.” When I read that statement it was instantaneous and I knew they were the right company for me. I decided to go “all in” and let their creative team take the wheel. Our new brand is going to change the marketplace in the area we compete in. From the truck wraps, to the website and all other social media platforms, we will have the most memorable brand in the land! We look forward to many successful years with KickCharge Creative as our go to Marketing Agency! I hired KickCharge Creative for a re-brand & logo design project. As someone who works in a design field, it’s difficult to be able to step back and examine your own brand from a clear perspective. Dan and his entire team of experts were extremely easy to work with and crafted an awesome logo that we’re very proud of. Amazing team all around and looking forward to working with them on future projects. I‘d recommend KickCharge for any business serious about their brand and delivering the right message to the right audience. We had Dan and his team create a logo and website for us. Was a great experience and would highly recommend. 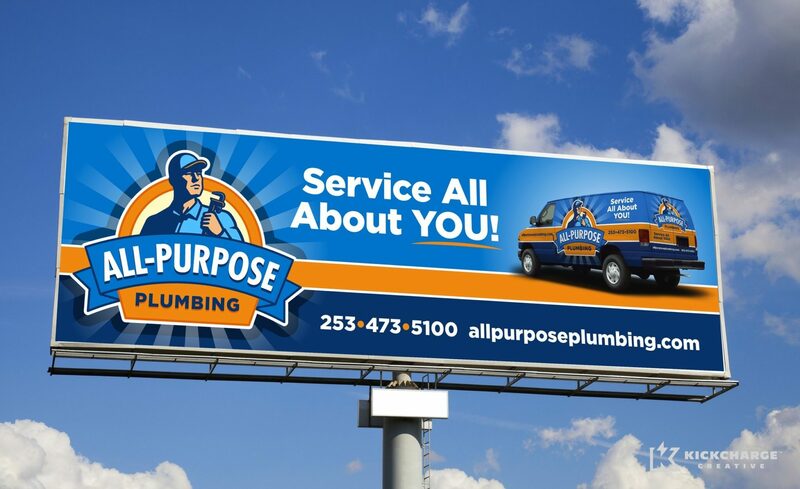 We were looking to update / rebrand our HVAC company from its original branding from 1991. I’ve seen KickCharge’s work with other companies and they looked like a good fit. The whole process was smooth and extremly organized. Dan and his team communicated clearly the entire time. The concepts they came up with were exactly the direction we wanted to go. They made it difficult to choose, but we extremely happy with the final result. The execution of the project was flawless. I get so many compliments from clients and other businesses on our logo and wrapped trucks. Big thanks to Dan and his team for a huge and positive transformation to our business. Amazing work! Phenomenal customer support, super easy to work with. We worked with dozens of companies over the past 10 years and KickCharge stood out as one of the best we've worked with to date. One of the best, if not the best Service Business Graphic Designers in the world right now. It's also nice to talk and deal with the owner Dan about the design process and any issues that come up. Highly recommend. Absolutely Amazing Work, Just launched our 3rd website with this firm. We have been working with them for over 15 years. Dan and his team are no joke and they consistently produce amazing results. This firm is AWESOME! Dan and his team exceeded our expectations for our re-branding project. We hired KickCharge after a raving review from our friends at Integra Electric. 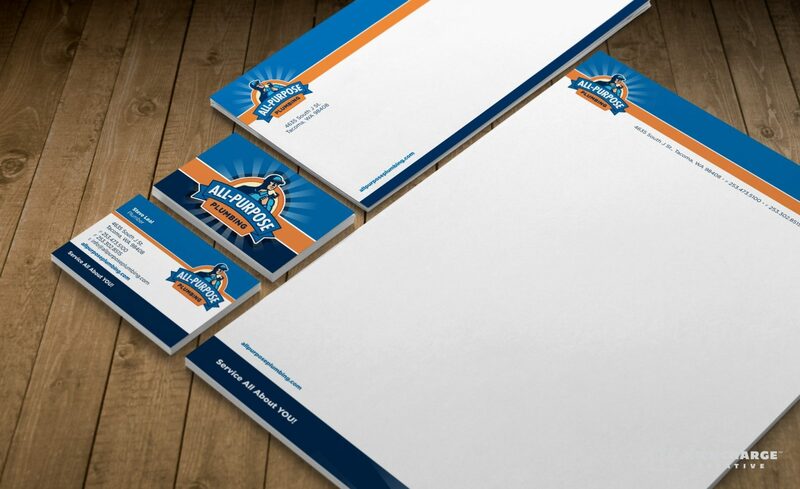 They created : Name, Logo, Tagline, Stationary and Vehicle wrap design. They had a unique ability to streamline a complex process making it intuitive, interactive and fun. The quality of all the finished products are the best we’ve seen. Thank you Dan, Michelle and Team for what you do. As a Graphic Designer and Entrepreneur, I've built a business around logo design, branding and quality products. But, when we decided to re-design our own logo, we hit a wall. We were too close to it and unable to really see it from our client's perspective. Having been a long time fan and follower of KickCharge Creative's work under Dan Antonelli's direction, I reached out to see if they were up for the task. After a creative brief, they went straight to work and it didn't take long for them to show me that they are true professionals and experts in their craft. We didn't end up with just a new logo, but a new image that pushed our business in the direction we wanted to go, and they understood that. Partnering with KickCharge Creative was one of the smartest business decisions I've ever made! You know, as a creative, I was sure we would be able to knock our own logo out of the park. But... The more we worked on it the more I became my worst nightmare. I was too picky on everything and I mean everything. Well, It was time to get a trusted opinion from somebody I had studied for years. As you can see, he had something great up his sleeve as always and had something perfect in mind for our company. The first time I saw the logo, it was love at first sight! You cannot find a better company than Kickcharge. Thank you Dan and your faithful team for the perfect logo and for all of your help the past couple of years!